Rotary dial phones. 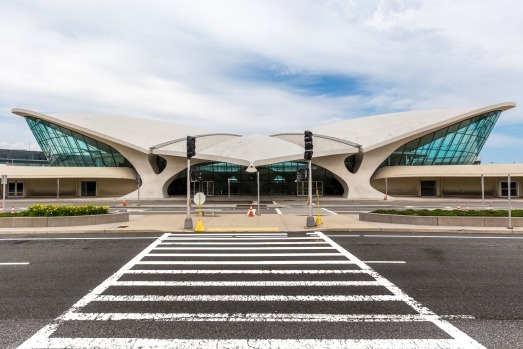 Iconic midcentury modern architecture. Cans of TaB in the mini-bar. If that sounds like it could be 1962, that's by design. 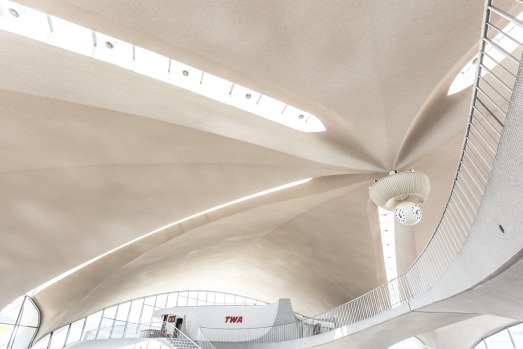 It's all part of the DNA of the new TWA Hotel that's set to open next year at New York's John F. Kennedy International Airport. 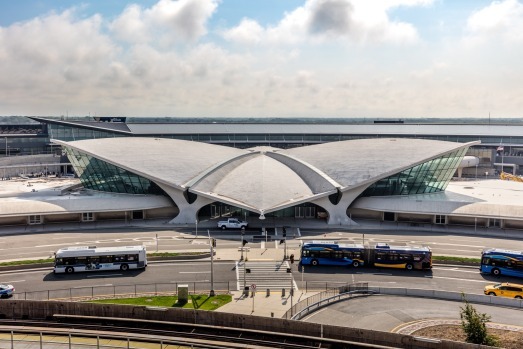 Anchored around the landmark TWA Flight Centre that opened in 1962 as the jet age dawned, the airport property is one of the most-anticipated hotel openings of 2019. 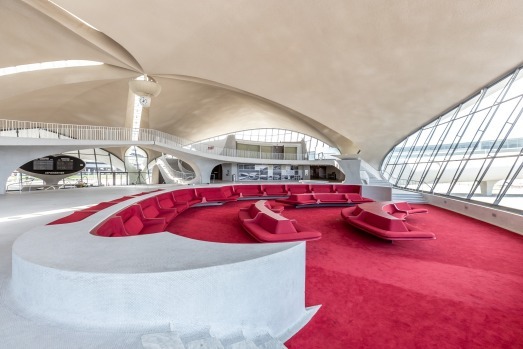 The 512-room hotel will feature two new six-story towers that flank the old TWA terminal's "head house," an architectural masterpiece designed by Eero Saarinen. The terminal is in the process of being converted into a 18,580-square-metre lobby the hotel claims will be the world's largest. 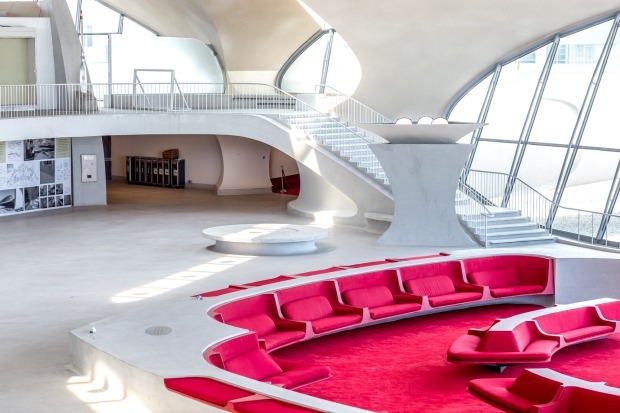 The TWA Hotel will include six restaurants and eight bars. 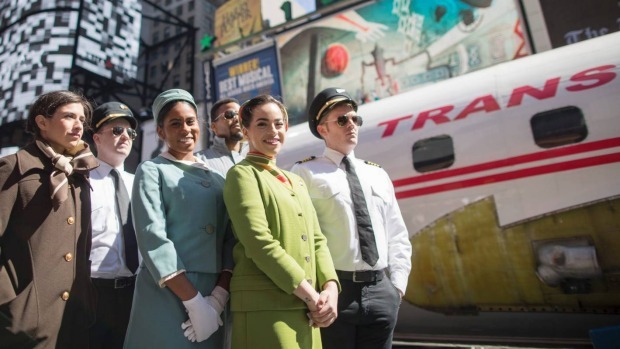 One of those, a cocktail bar, will be housed in a refurbished Lockheed "Constellation" aircraft that was a staple of the TWA fleet in the late 1950s and early 1960s. 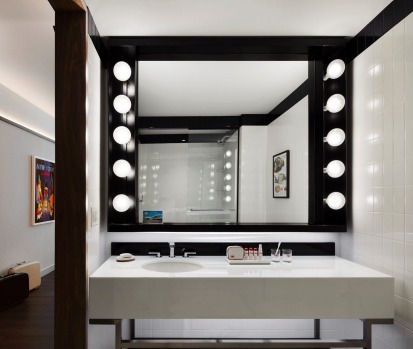 The hotel recently offered a sneak peek of its designs for the lobby and rooms. Take a look in the gallery above. 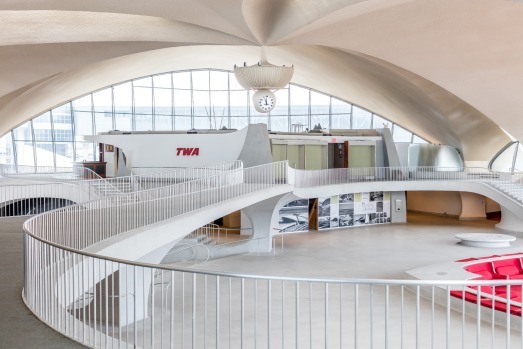 "People appreciate differentiation these days," says Tyler Morse, CEO of the MCR and Morse Development firms that are spearheading the redevelopment of the TWA site. "We're kind of living in one giant Walgreen's. It's a very homogeneous world." 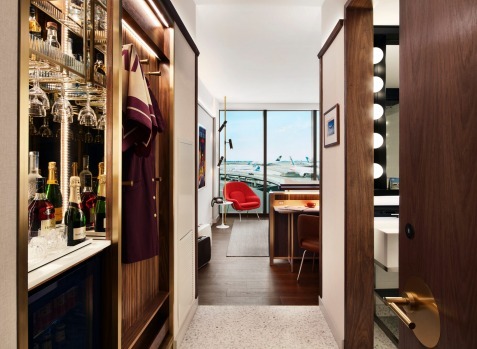 Already, enthusiasts — both aviation and architectural — have eagerly awaited each new detail to emerge about the iconic structure's rebirth as a hotel. "Our phones are ringing off the hook," Morse says. 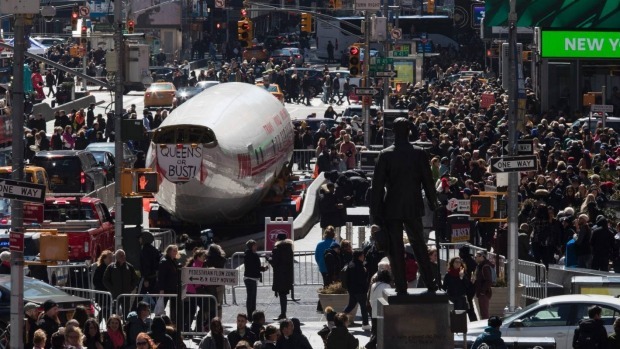 "People are wildly excited about this project." 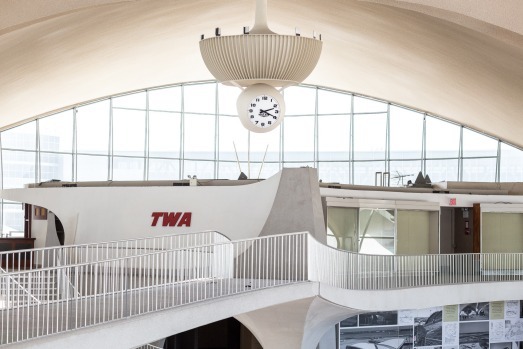 "I have not seen a new hotel attract the level of interest from travellers, aviation enthusiasts — even the hotel industry itself — as the TWA Hotel has," says Hartevdelt, who worked for now-defunct TWA in the 1980s. 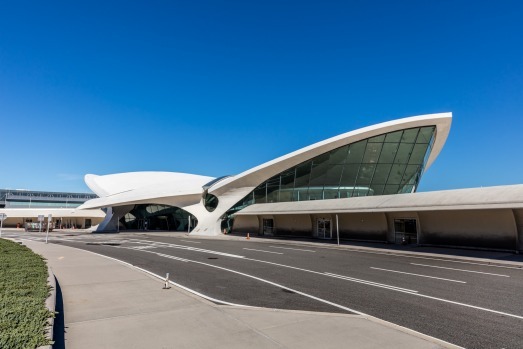 Already, visitors are intrigued by a rooftop pool that will afford views of the airfield — not to mention the Constellation and the hotel-lobby conversion of the TWA Flight Centre that's now in progress. "We're bringing back the magic of 1962," Morse says, describing the property as an "experiential hotel." 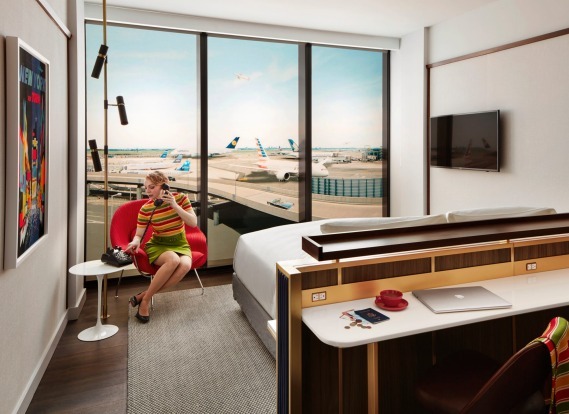 "Everything we're doing is unique and bespoke," Morse adds during a preview of the rooms at a JFK hangar where MCR has put together a "top-secret" full-scale mock-up of what will be a standard room at the hotel. 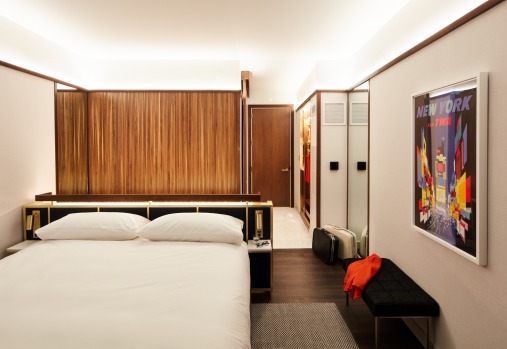 The standard rooms are on the small side, averaging 30 square metres. 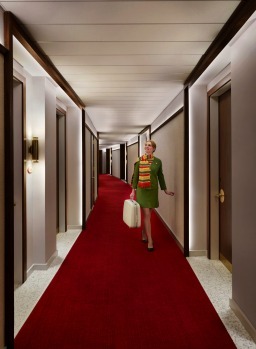 Forty-four of the hotel's rooms will be larger suites, with the biggest topping out at around 110 square metres. 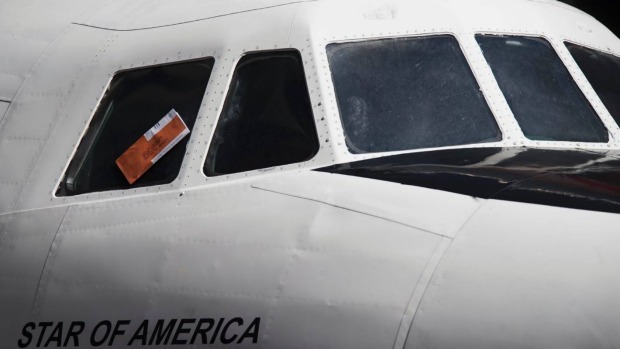 All will include aesthetics that are sure to appeal to aviation and design buffs. 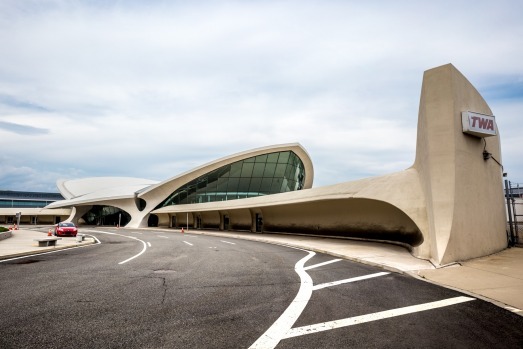 They're fronted with floor-to-ceiling windows; most afford guests views of either flight activity on the airfield or a panorama of the TWA Flight Centre itself. 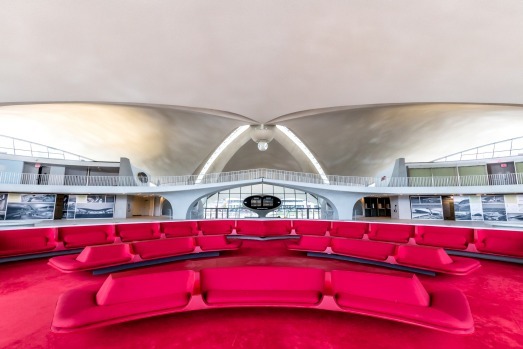 The decor of the rooms, handled by architecture and interior design firm Stonehill Taylor, could be mistaken as a museum exhibit highlighting midcentury Americana. "We're buying them on eBay," Morse says, noting there aren't many other places to track down working rotary phones these days. "They replace the guts of the phone," swapping out the old analog technology for a modern connection. 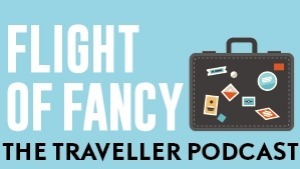 Airport hotels are rarely regarded as destinations in themselves, left to the province of stranded travellers or those overnighting ahead of a 6 a.m. flight. 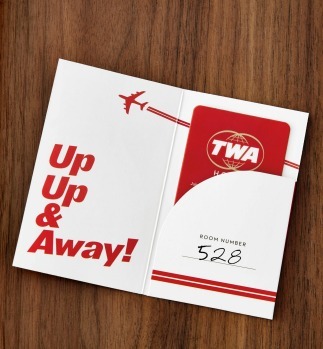 Though a number of other hotels line JFK's periphery, the TWA Hotel will be the only one on the airport's actual grounds. But Morse believes the lure of the property will go beyond. "Thirty percent of our business will be events, celebrations and corporate meetings," he says, adding that the hotel anticipates hosting 100 weddings and 50 bar mitzvahs each year. 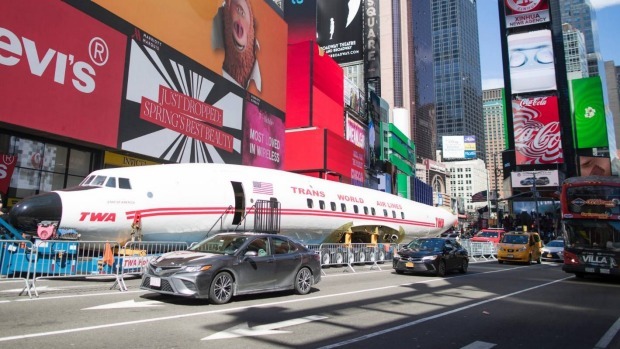 "There will be a lot of people interested in trying it," he adds. "The question is, 'will they be successful enough to get repeat business?' 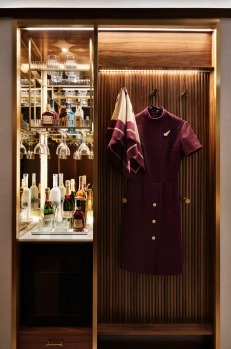 They have to treat it as a destination hotel ... as a true first-class, four-star or better hotel." "We don't want to open so wildly hot and then die," he said, noting the importance of offering a solid product over the long haul. 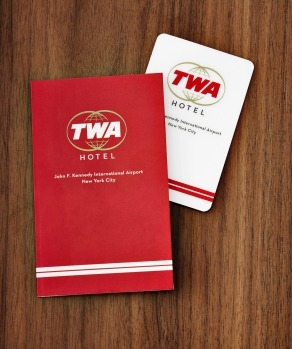 "I don't like cool hotels, because — by definition — cool is ephemeral. What is cool today is not cool tomorrow. What we want to do is a good product and a terrific experience." "We don't want to be a flash in the pan," Morse adds.